2I was born in Amasya /Turkey in 1970. I studied Geological Engineering in University of Istanbul and graduated in 1991. Following my graduation, I travelled to England to learn English and this was also great opportunity to learn more about English culture and way of life. On my return to Turkey, I worked for 8 years as a sales supervisor and sales manager for several electronic companies such as EMPA. In 1999, I decided to take a career break and travelled to England to brush up on my English and visit my friends. On my return to Turkey in 2000, I continued my professional career in sales management and also studied Masters in Business and Management and attended to Japanese Cultural Centre in Istanbul to learn Japanese. Between 2006 and 2009, I travelled to Japan, South Korea and Thailand on two separate occasions. During my time in Japan, I lived with Japanese families. This was most valuable as it enabled me to practice my Japanese and better understand Japanese culture as well as provided me with an opportunity to form long lasting friendships. In my time in Thailand, I attended Massage classes and gained a certificate to practice thai massage if I choose to do so. I also travelled to other countries in Middle East, Africa and Europe for short periods of time. I have been travelling around Turkey all my life and can confidently say that I know all popular tourist attractions as well as the parts of the country not commonly known by tourists. My love of travelling and interest in other languages and cultures led me to consider working in tourism field. Last five years I have been volunteering for trekking clubs and groups to gain experience and to better appreciate the requirements of the career path I was hoping to choose. 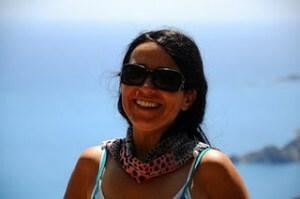 I also worked privately for some hotels in Cappadocia and Fethiye in 2010. I gained my official licence as a guide from the Ministry of Culture in 2011. I am fluent in English and Japanese. My hobbies are scuba diving, trekking, paragliding, travelling, socialising with my friends.I have friends from all over Turkey and many countries around the world. As a guide and a friend I can promise you a fantastic time wherever we are and whatever we do.